The countdown to Christmas is always full of cheer and excitement and an Advent calendar is the quintessential item for doing it in style. I am going to sound really old when I say, when we were kids the only choice was, a basic chocolate calendar (maybe with a fun size bar at the end – if you were lucky) or a modest paper/card one depicting the Christmas Nativity. These days however, Advent calendars can be as extravagant and exciting as the main event itself. Here’s my guide of my most favourite on the market for 2015. Suitable from 12 months plus, this is actually the Advent calendar I have purchased for my 14 month old little boy and I cannot wait to sit down and open it with him in December. One little toy for each day of Advent including, a Toot-Toot drivers sleigh, Christmas decorations, a mini book and tons more. 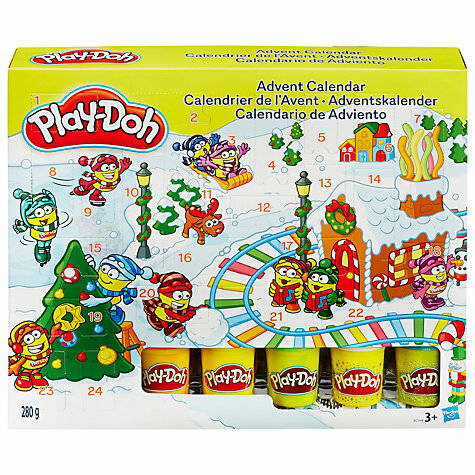 In a season rife with chocolate I think this toy Advent calendar will be just as cherished as any gift on Christmas Day. Suitable from 3 years. 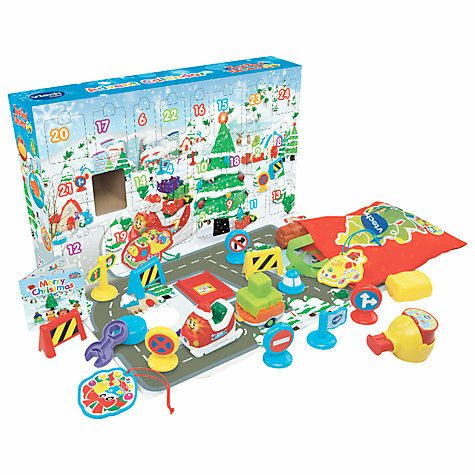 Behind each door on this Advent calendar is a different surprise including festive moulds, Play-Doh, tools and a useful play mat, this is sure to be cherished by your creative little ones. This is quite simple. 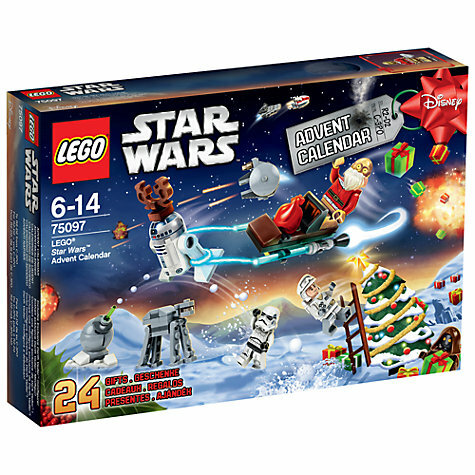 If you have boys in your life of ANY age, they are sure to go nuts for this Lego© Star Wars™ Advent Calendar. With the latest film due to come out just before Christmas, Star Wars™ fever is going to be boiling over everywhere and what better way to countdown not only to Christmas but episode 7 will be with this Advent Calendar. Hey! A girl can dream, eh? At £149 this is by no means an affordable Advent Calendar. 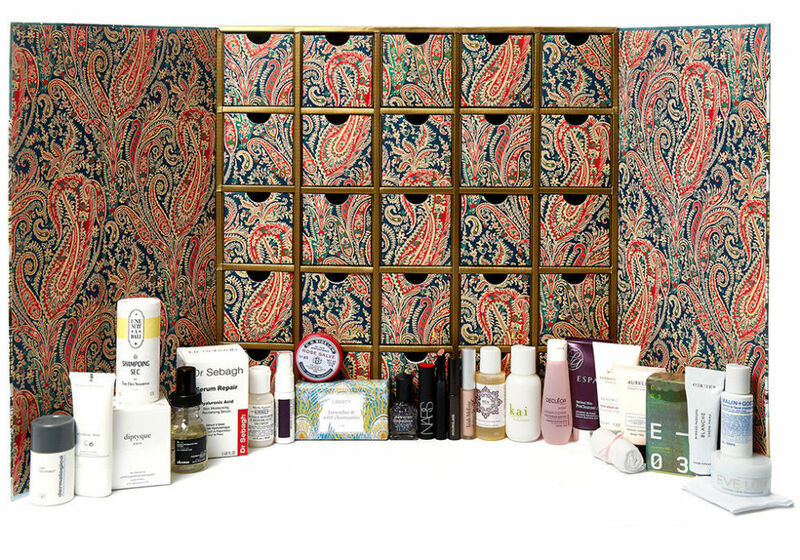 Packed full of treats from Liberty’s beauty hall, with luxury brands like Decleor, Kiehl’s and Trish McEvoy. Every day of Advent will be filled with joy (and pampering). Gentleman, take note. If this happens to appear on the 1st December to the lady in your life, I am almost guarantee that you are going to have a very, Merry Christmas. For the traditionalists who demand daily chocolate nourishment (Nom!). 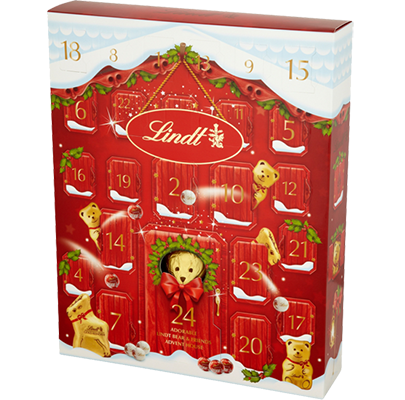 Then this Lindt Advent Calendar is pure chocolate heaven. Filled with chocolate reindeer, bears, Lindor truffles and Christmas Napolitans. You will be counting down the days until Christmas with a very happy tum and a smile on your face.